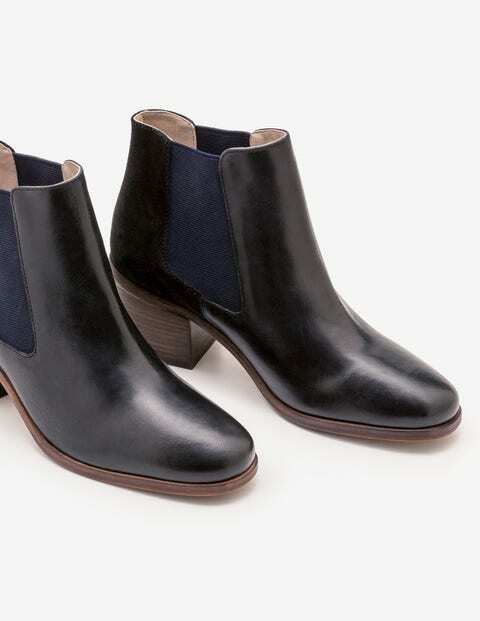 Hey there, weekend warriors – treat busy feet to our versatile, classic Chelsea boots. Low heels give you a bit of a boost while keeping things comfortable, and textured materials inject a sense of luxe into your laidback wardrobe. Contrasting elastic on the sides makes them a doddle to pull on for those seconds-to-spare moments.